How prepared is your business for a server failure, theft, fire, or natural disaster? Is your data backed up both onsite, and offsite? Is it verified and managed by a third party to ensure accuracy? You buy Insurance for the business itself and its assets, be sure you have “insurance” for your company data. BP Innovations can help you setup the backup solution that fits your needs, ensuring you have a copy of your data BOTH onsite for quick recovery and securely stored offsite in the event of a physical disaster. Cisco Meraki’s Cloud-managed architecture provides a complete solution without the cost and complexity of traditional infrastructure buildout. Meraki makes it easy to support many locations. Meraki hardware simply needs to be connected to the Internet. Once installed, devices will self-configure, and ongoing management can be performed remotely over the web. Automatic, self-configuring site-to-site VPN and WAN optimization create secure, high-performance links between sites. Meraki’s centralized service provides round-the-clock optimization of the network. Dynamic wireless channel planning monitors and mitigates interference, ensuring the network is operating at peak performance. Meraki has many features included, such as data aggregation for retail stores, which allows for smartphone apps as well as facebook check-in! Exchange, Google Apps, IMAP, POP3; which email solution is right for you? Need to support iPhone, iPad, Blackberry, Android, WebOS, and/or Windows Phone? BP Innovations is a Microsoft & Google partner and we have dozens of offerings with our partners to provide you Secure, Hosted Email with all the features you need without paying for those that you don’t. Keep your messages in sync between your desktop, web mail access, and your mobile device without the hassle of managing them separately. Get large mailbox size limits without buying more storage yourself. Ensure that your data is backed-up and all security patches, antivirus, & SPAM filtering is updated without the hassle of managing it internally. Let BP Innovations help you design the best email solution for your needs. Hosted PBX provides you with a Centrally Managed, Fully Redundant communications solution with complete Failover Redundancy. Each customer is unique, and so are the Hosted PBX offerings we can provide to your business. Contact us today for more information, or check out our Hosted PBX services page for more details on available features. Do you have a large traveling workforce? Are all of your employees’ documents being backed up? Are you running the latest version of the software complete with the necessary security patches? Do you have software you need to make available to employees at multiple locations? Whether you are looking for a web-based contact management solution, or a virtual desktop where your employees can connect from any PC, anywhere and always have access to the productivity software and documents they need. 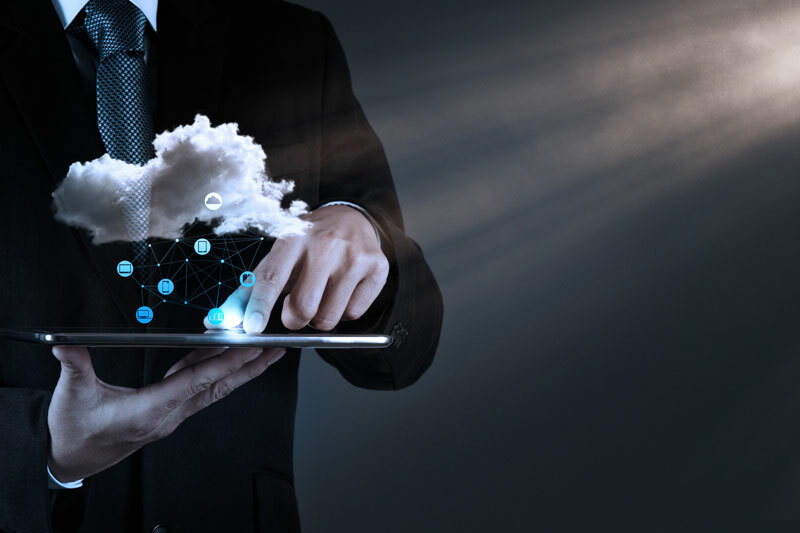 With your software “in the cloud”, you can have your secure access to your software and files from anywhere with full backups and redundancy to ensure maximum availability. Cloud services are the wave of the future. Why? Because they offer, quite simply, the ability to license or “rent” software and infrastructure when you need it. Before the advent of “the Cloud,” if a company wanted to run Microsoft Exchange server as its unified communications client, a large up-front cost would be incurred to purchase the server, the software, in addition to the cost of a certified Microsoft partners’ time to come in and set everything all up for you. Now, businesses can get set up on Exchange in the Cloud, pay no startup cost, add seats instantaneously, have the service delivered over the internet to each employee’s computer, laptop, or mobile device, and pay a monthly “rental” fee. It’s easy to deploy, it doesn’t “live” on any one person’s computer or server, it’s easy to maintain, and the software is updated for you by the Cloud provider. This is but one example of how BP Innovations Cloud services can help you in your business. If you would like to schedule an appointment to discuss how Cloud software and infrastructure can enhance your business’s evolving communication needs, please give us a call today at 1.800.695.6409. We specialize in making the Cloud work for you. Please fill out this form and a cloud specialist will contact you to further discuss your needs.